Charlene Bates Cole, age 86, of Coleman, died Thursday, January 24, 2019 at Coleman Healthcare Center. A graveside service will be held at 2:30 p.m. Sunday, January 27, 2019 at the Silver Valley Cemetery Pavilion with Rev. Richard Hetzel, officiating. Burial will follow at the Silver Valley Cemetery under the direction of Stevens Funeral Home in Coleman. She was born Charlene Bates on January 1, 1933 in Silver Valley to Charlie Bates and Davett Wilson Bates. Charlene was raised in Silver Valley and graduated from Novice High School. She worked for Pacific Northwest Bell Telephone Company as an operator. Charlene also worked in Olney for the telephone company for seven years before returning to Gouldbusk. She was a member of the Church of Christ. 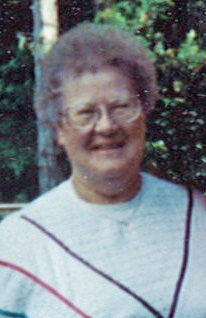 Charlene is preceded in death by her husband, William Ray Cole; her parents, Charlie and Davett Bates; one son, Darrell Horton; two brothers, Raymond and Alvin; and one sister, Mary. She is survived by her daughter, Shirley Cortez; two sisters, Minnie Chamblin and Lucille Day; one brother, Jim Bates; and two grandchildren, Sam Reynolds and Stacie Frost. Remembrances and condolences may be written to the family at www.livingmemorials.com.